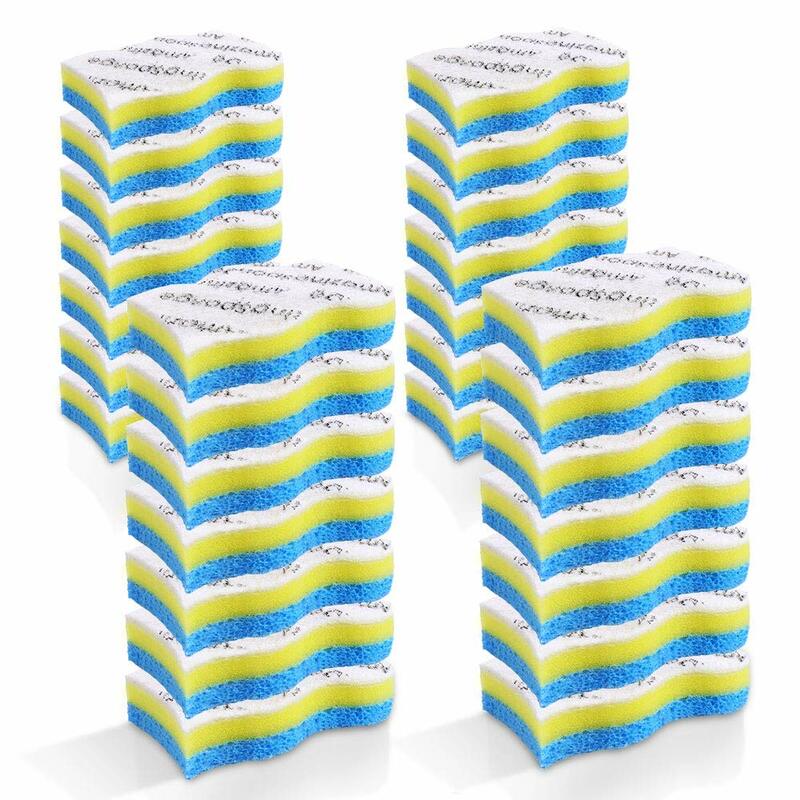 they’re eco friendly and 100% biodegradable. 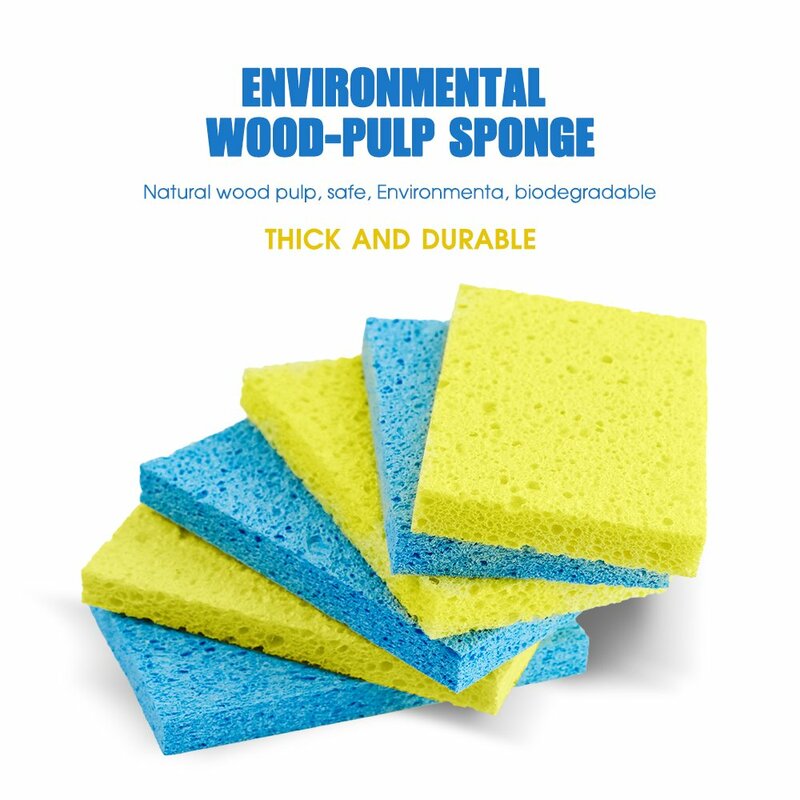 Cellulose Sponges are made from premium quality, 100% PLANT BASED WOODEN PULP and are completely biodegradable, so you can rest assure that they will not fill up the lands as form sponges which take centuries to disappear. 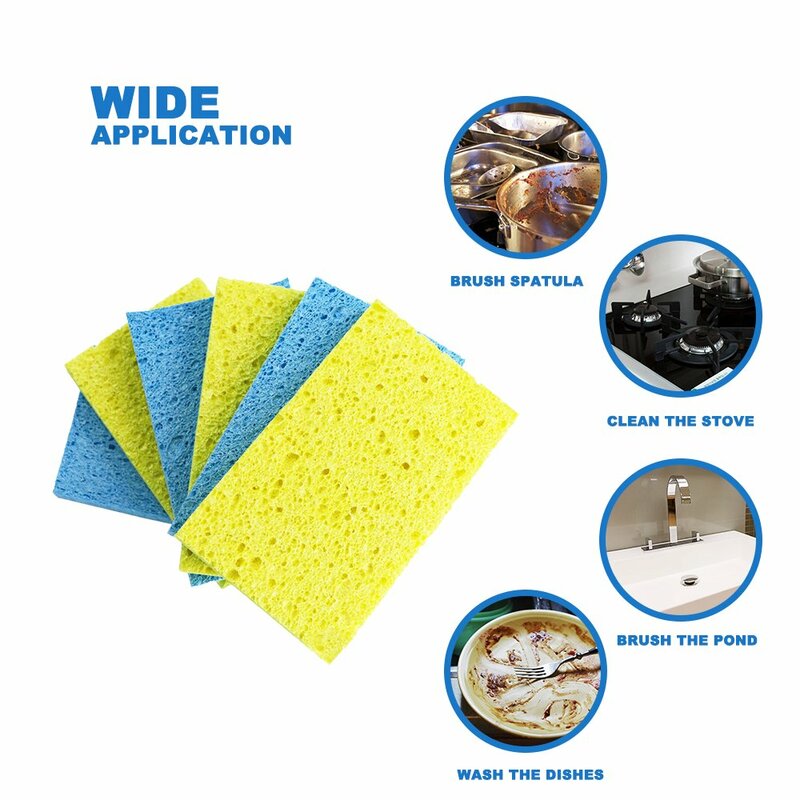 Special surface treatment, stronger cleanliness. 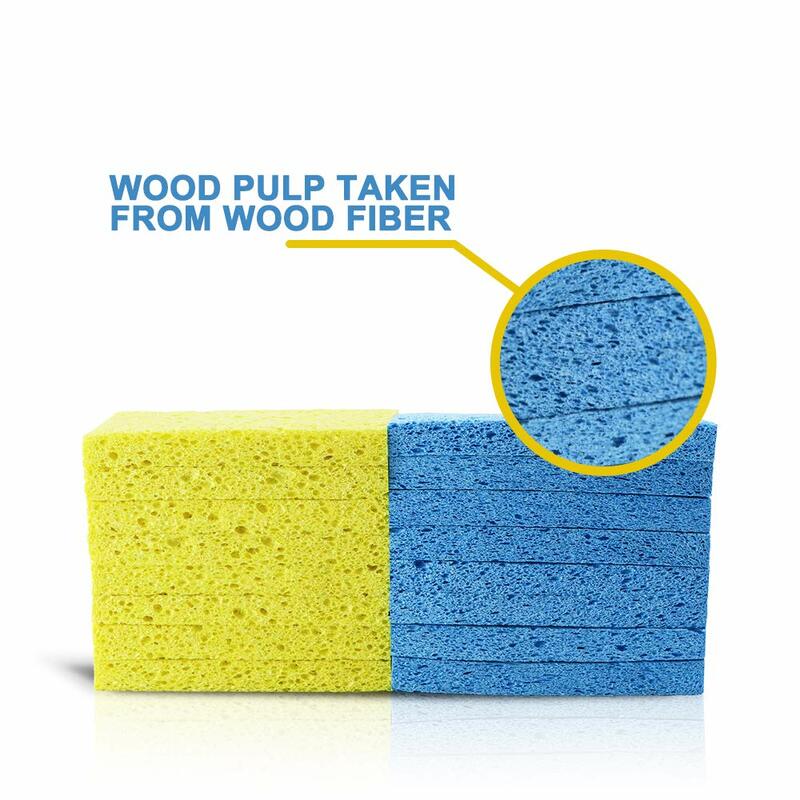 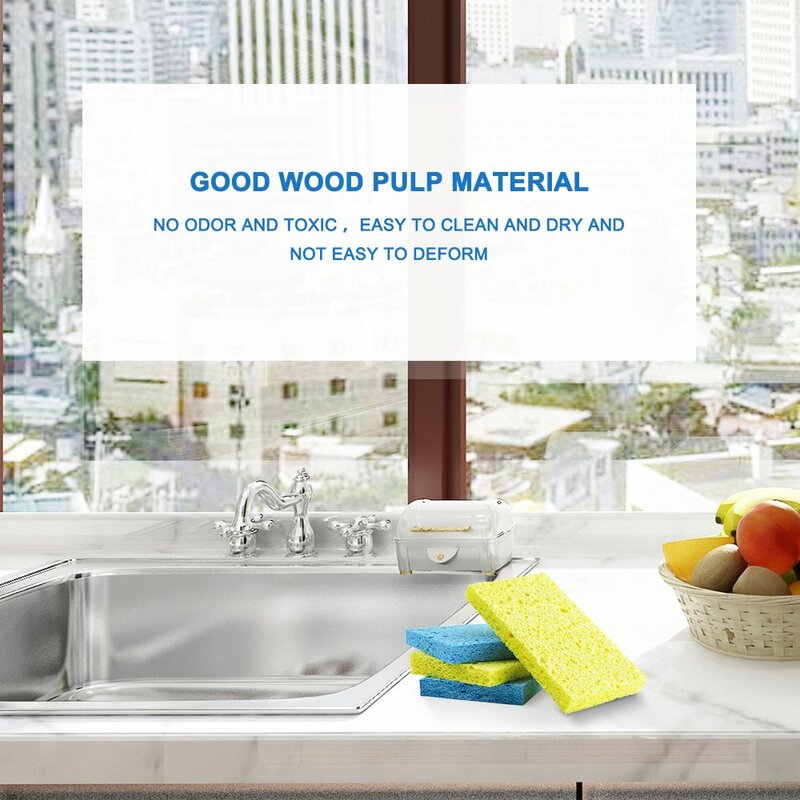 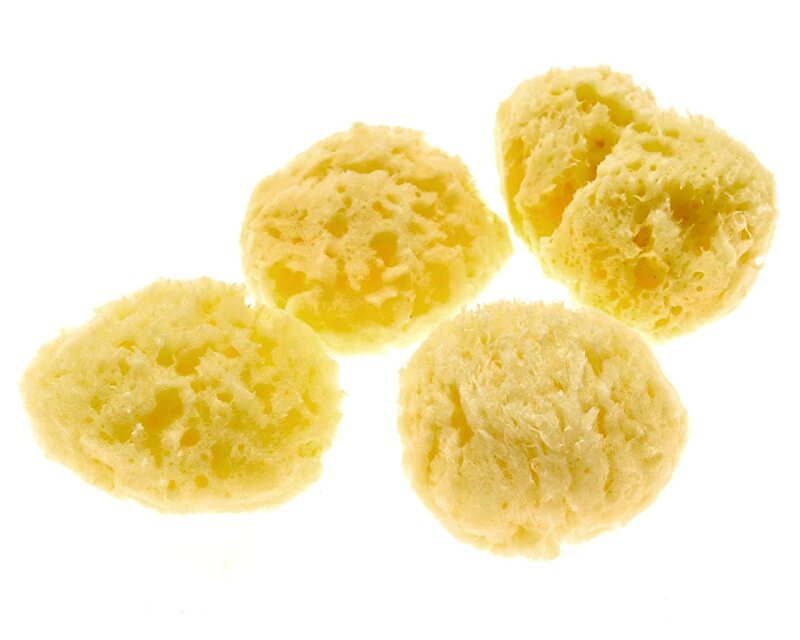 used only the best premium quality wood pulp to make these sponges. 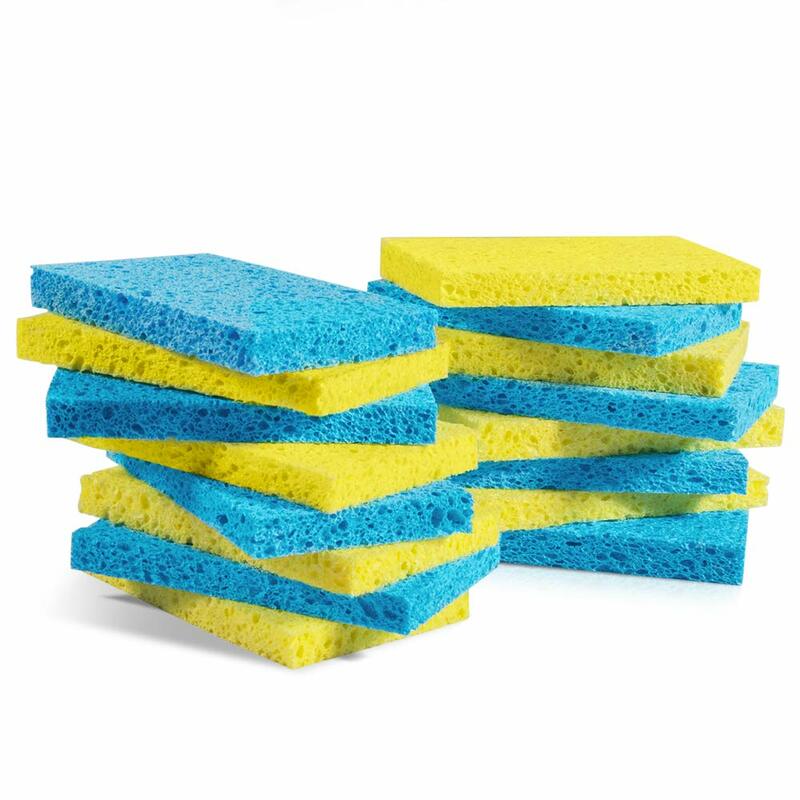 That means they don’t collect bad odor like other sponges, and you can safely sanitize them in the dishwasher. 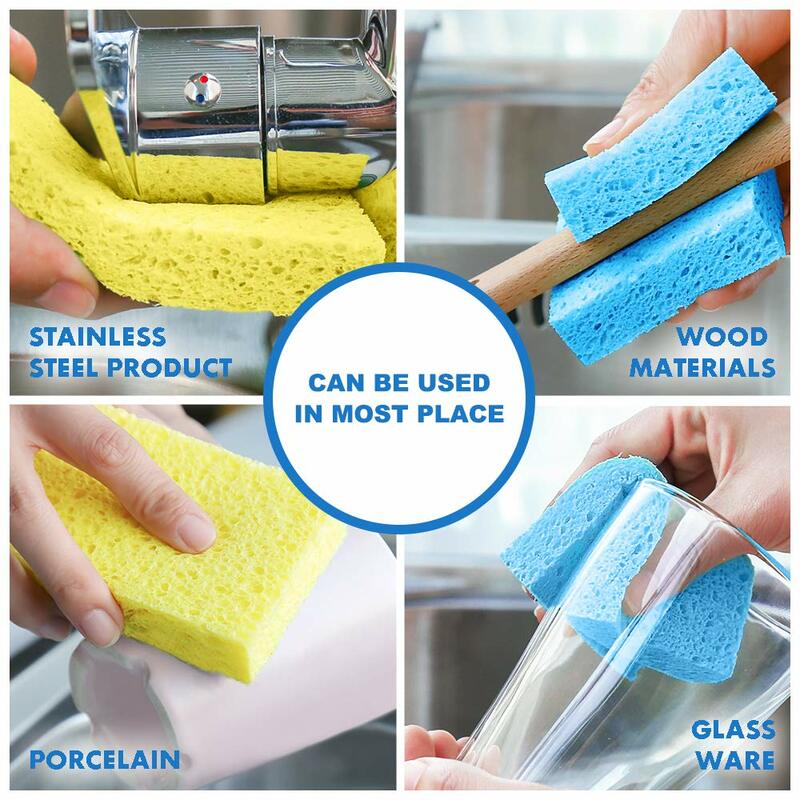 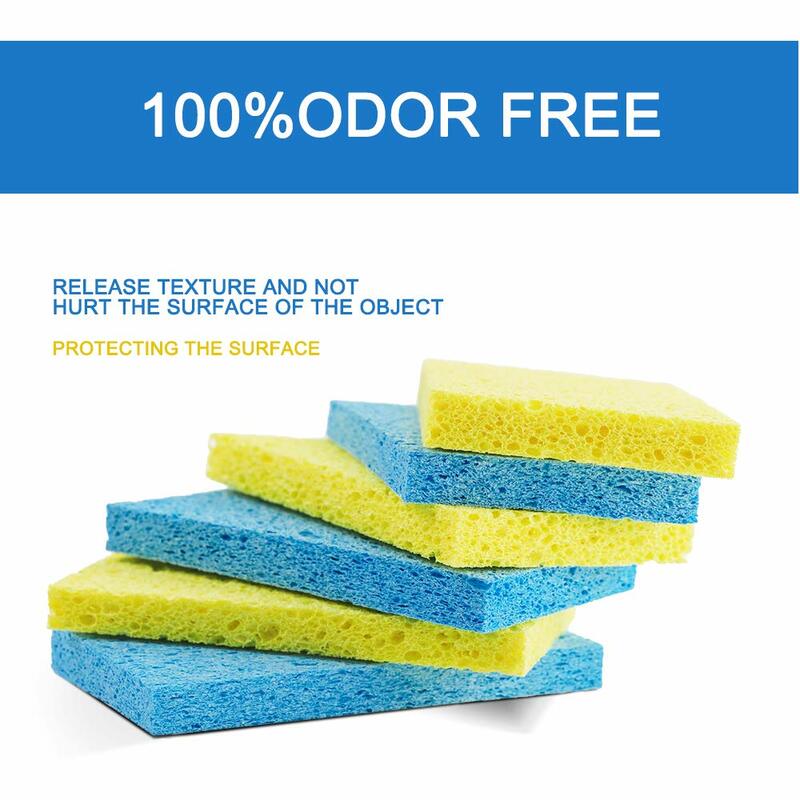 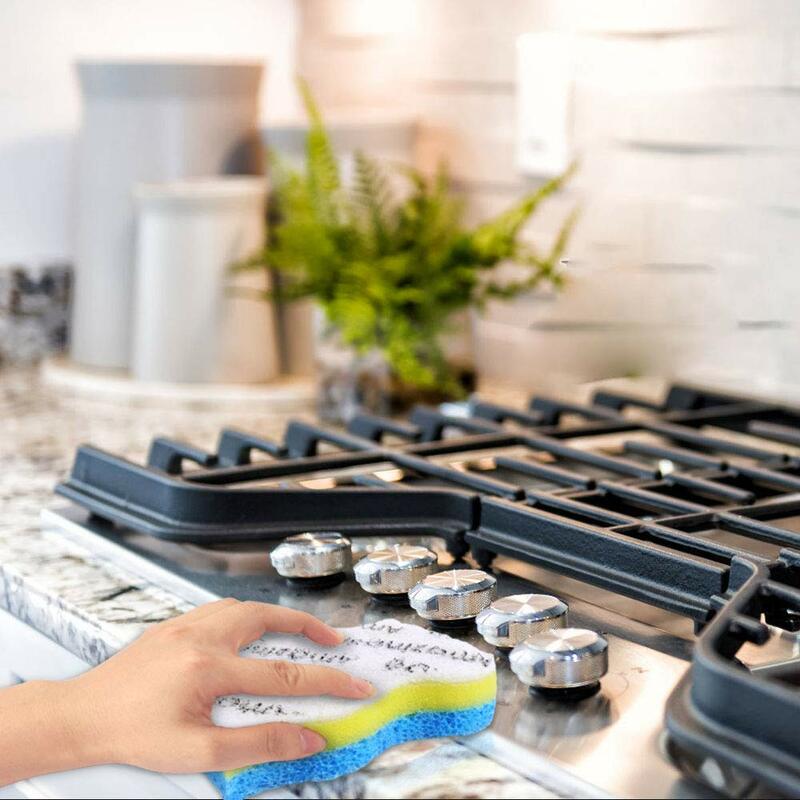 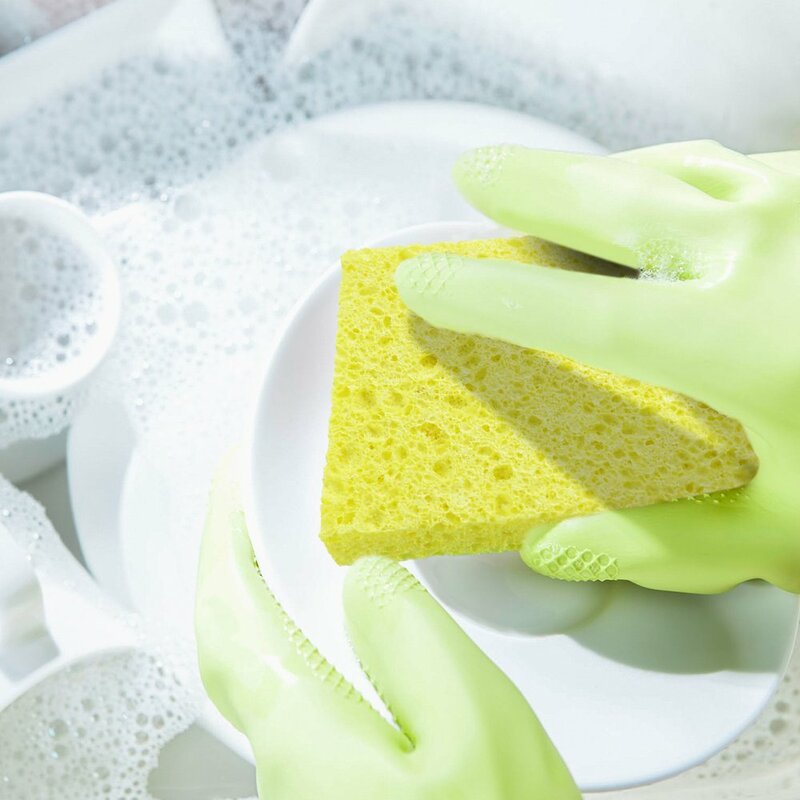 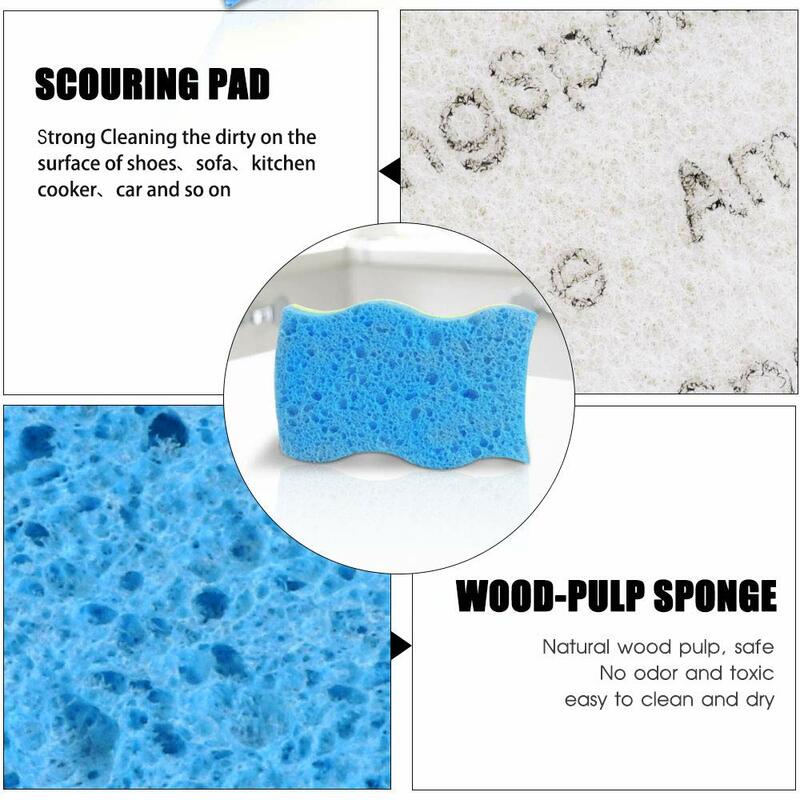 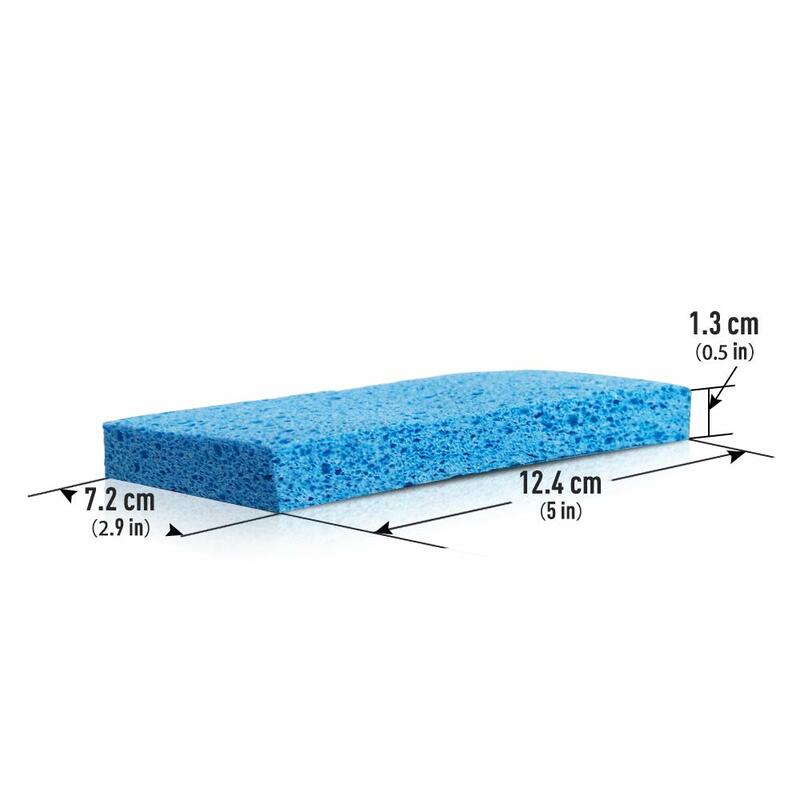 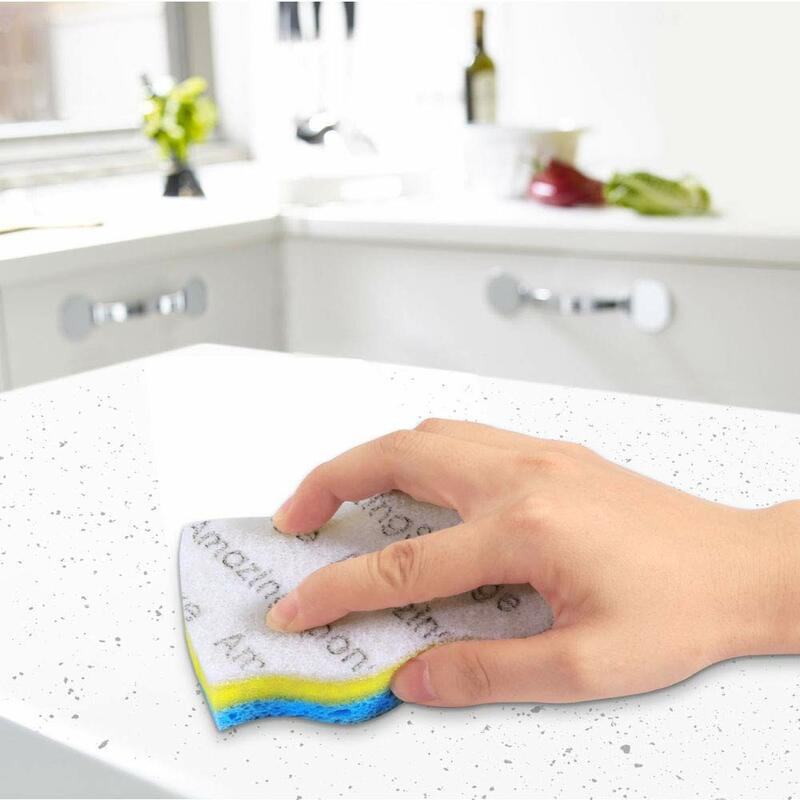 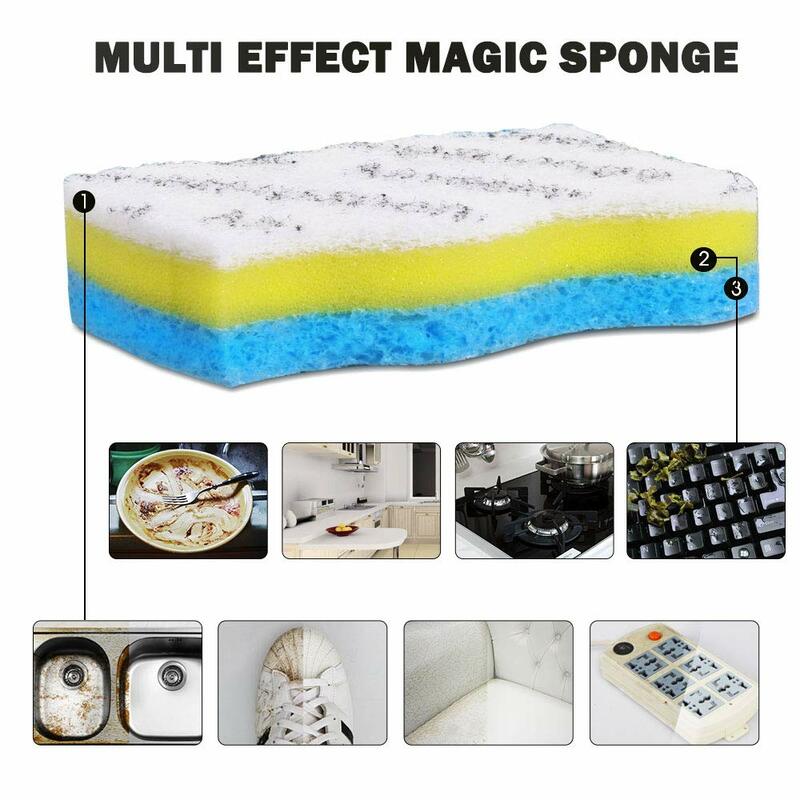 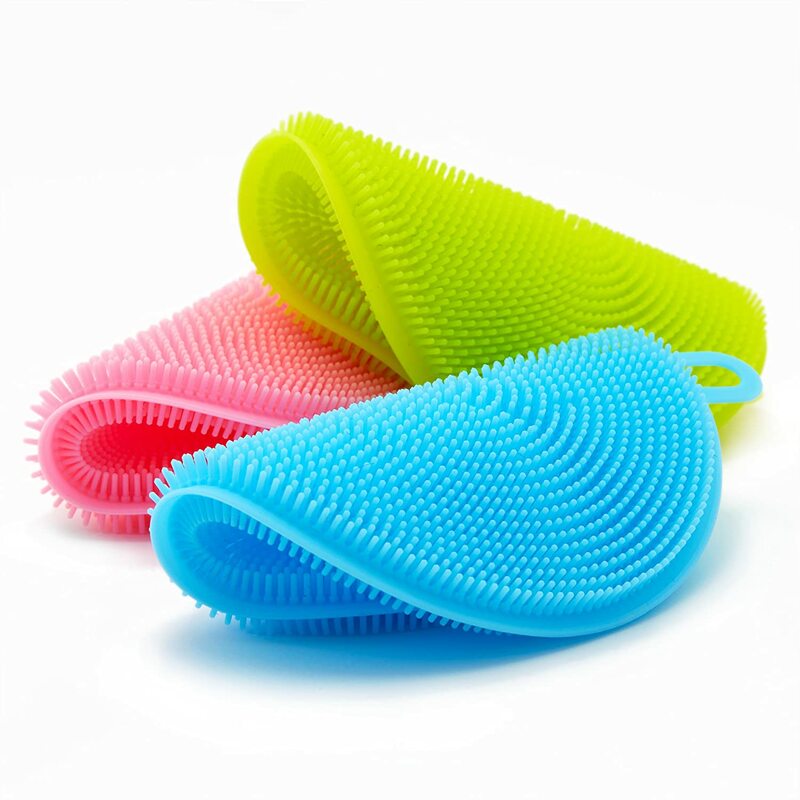 Built with durable material,soft,safe.These highly absorbent and durable sponges will help you keep your dishes, household appliances, counter tops, bathtub or even your car sparkling clean. 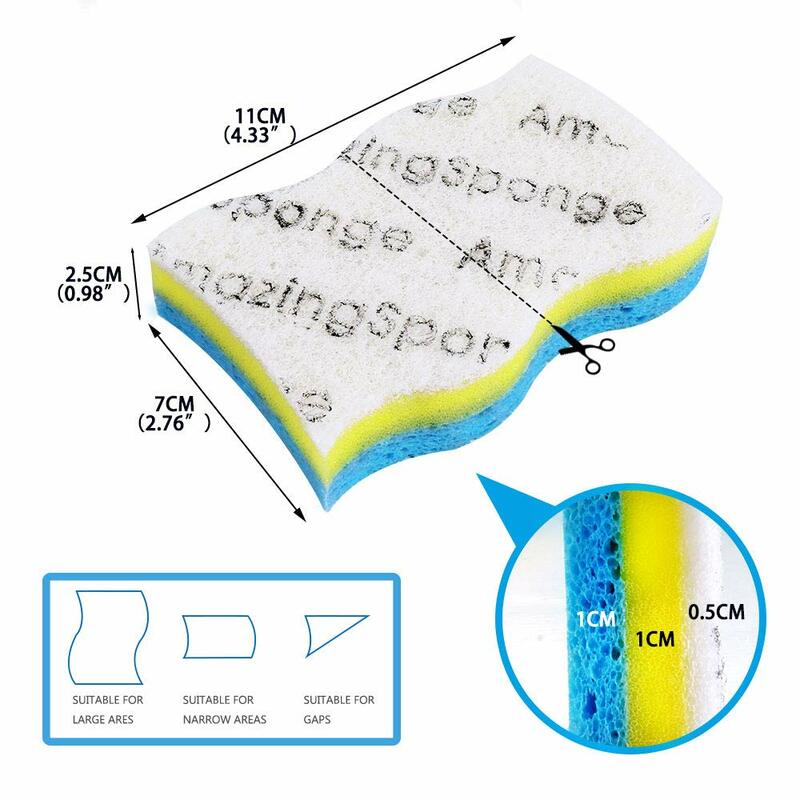 I have been looking all over for this size sponge, the stores only carry a larger size. 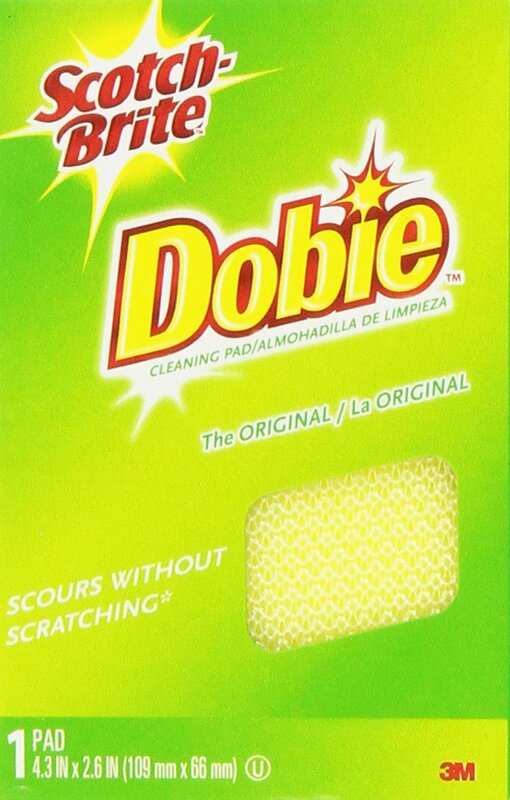 These also stay clean longer. 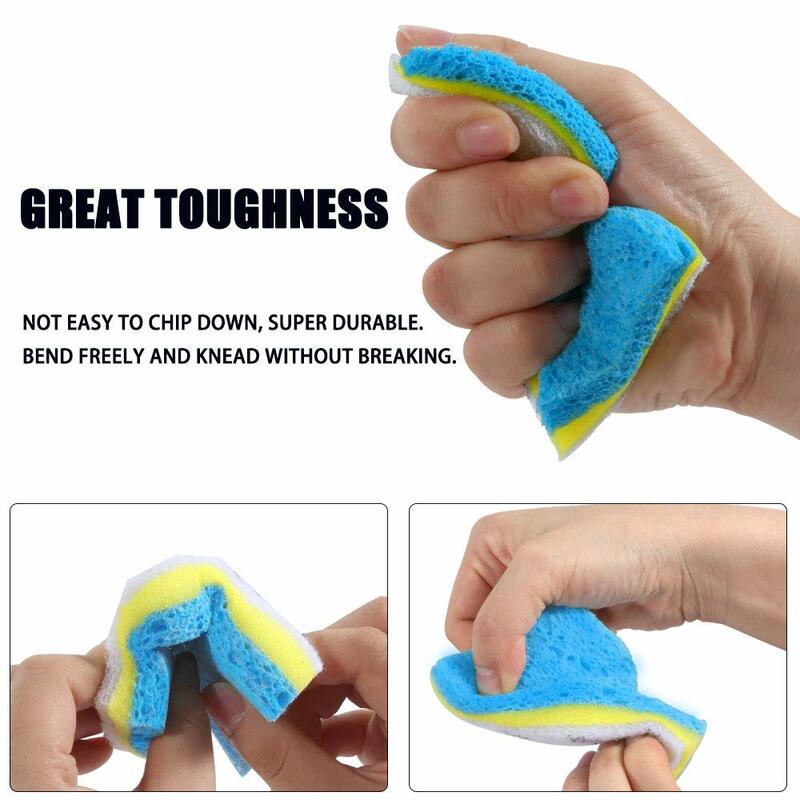 Very happy with my purchase.